In response to the need for spiritual healing, Veona has added inspirational stories to her repertoire. These folktales and parables are suitable for many occasions, especially church organizations and fund-raising events. Performances and workshops are available for all ages and all sizes. 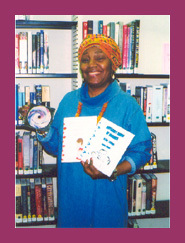 Veona is the author of "Different Kinds of Families" and other books. (Book purchases may pay for a performance). Contact her to fashion the program you need for that special time.